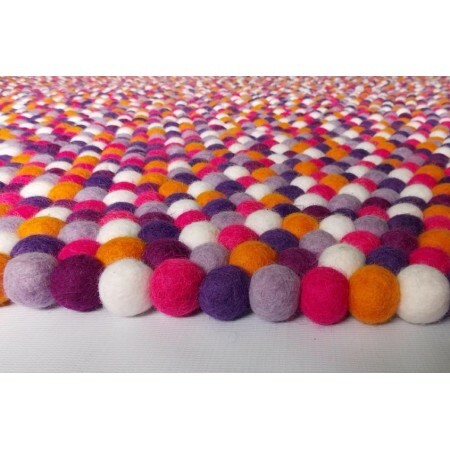 Our colorful felt balls (pompoms) are completely hand made by our Nepali women by rubbing the felt round(in presence of soap and hot water : traditional method). It is very warm,versatile and eco-friendly. Our colorful felt balls are very popular worldwide as it can be used to make differnt decorative crafts and accessories. 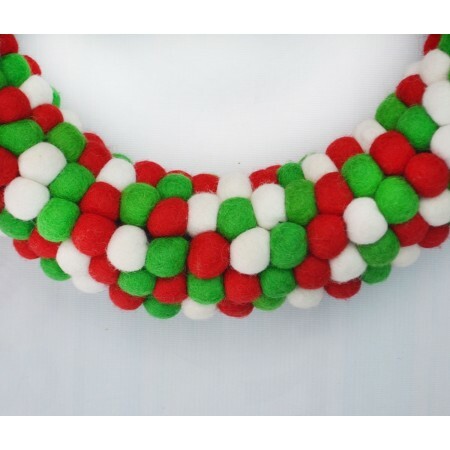 It can be used to decorate your felt bags,purse, garlands, necklaces, children's rooms, ear rings, etc. and anything you can imagine creative in your mind. 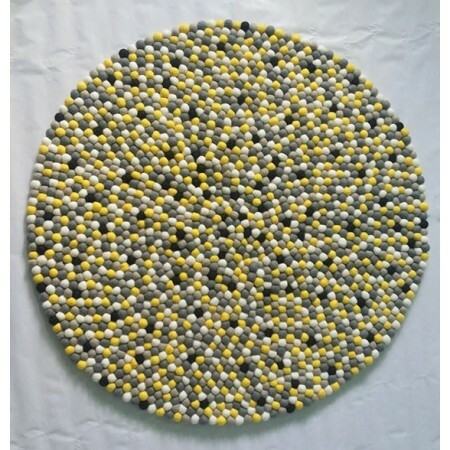 We offer our balls in various sizes and colors. 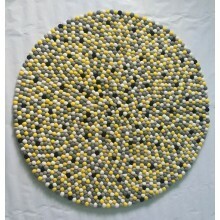 The size of the ball is measured in diameter(cm). 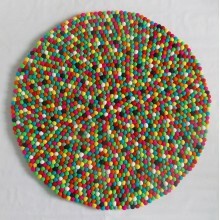 Currently we have 93 different color options [view color chart]. We do wholesale orders too. Costing can be minimized in wholesale purchase. 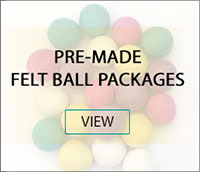 Contact here for wholesale felt balls order.